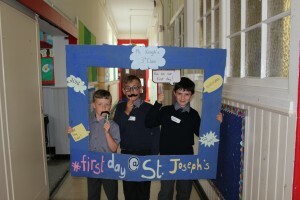 ST. JOSEPH’S C.B.S. 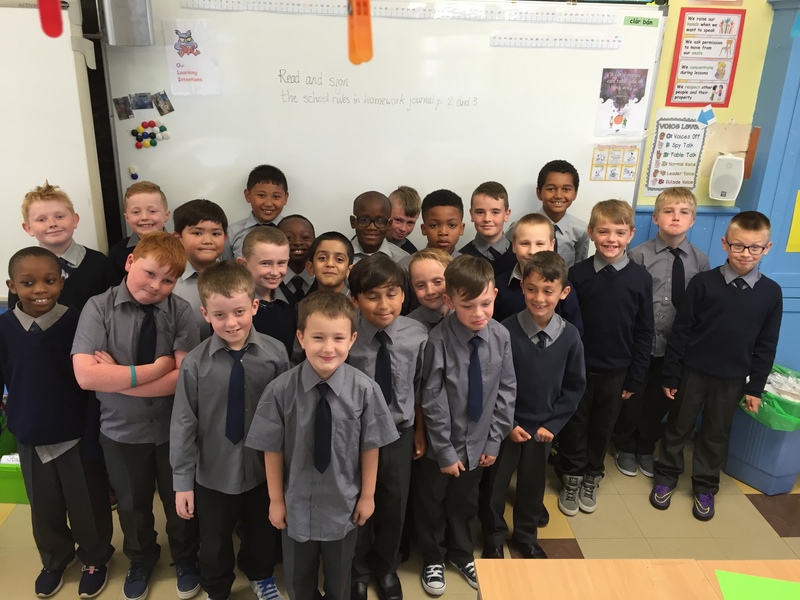 SEPTEMBER PRINCIPAL’S REVIEW. 30-09-2016. 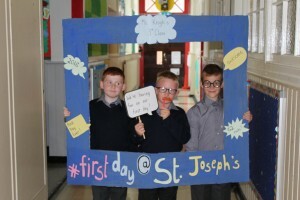 On this final day of September 2016 it is with a great deal of satisfaction that we look back on the first few weeks of our academic year in St. Joseph’s. 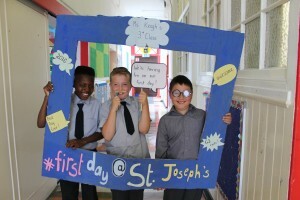 It is, first and foremost, a happy return to know that our pupils have had a summer break and have resumed their scholastic endeavours, able and ready for the challenges ahead, in a state of good health. 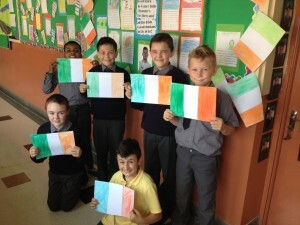 The September “Indian summer” has also been an added bonus! 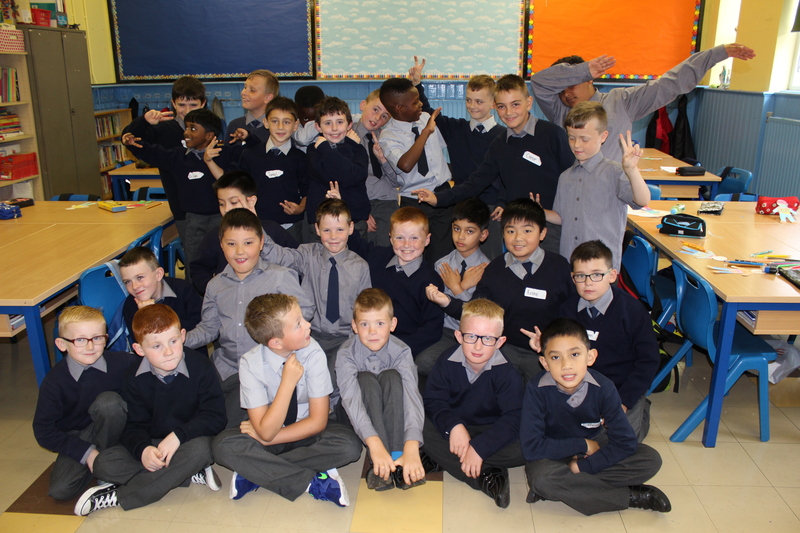 As normal our new pupils of third class arrived bubbling over with excitement and unbridled enthusiasm for their new surroundings. The “school ball” is as always a big hit with our newcomers and serves as a very necessary release valve for the copious supply of their high energy levels. 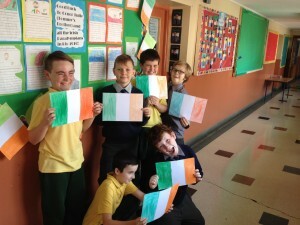 This spent energy then makes for a more settled focused attitude to the learning activity of the classroom afterwards. Healthy body, healthy mind! 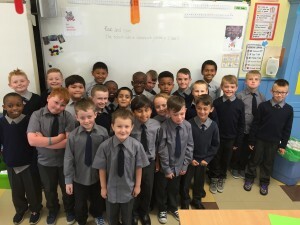 The boys have also already been engaged actively in the school kitchen cooking/baking with very praiseworthy outcomes, much to their own delight in the tasting pleasures that followed. Overall the settling in period has progressed very well for teachers, pupils and parents. 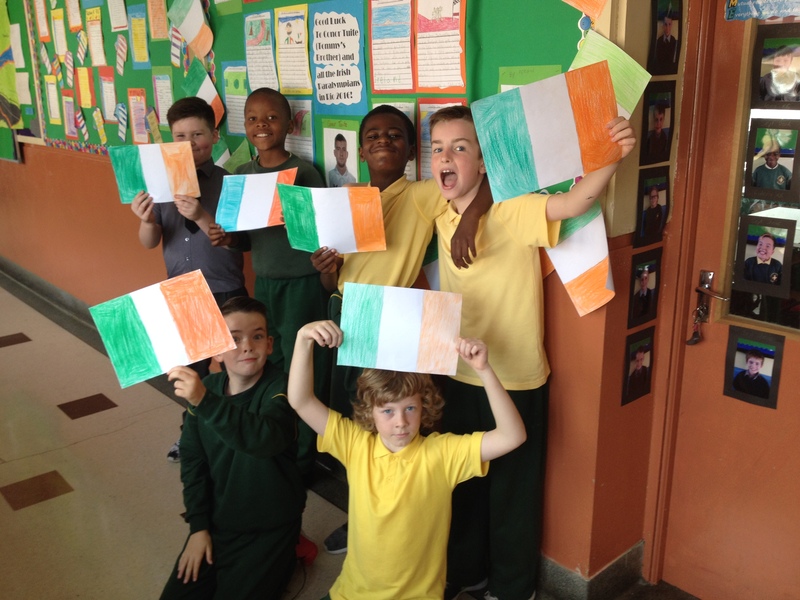 Needless to say our dedicated SNA staff have been an invaluable support in all of this. The boys of 4th, 5th and 6th classes have also made a very good transition to their new status and their developing maturity is for the most part quite evident in both their approach to their learning and their play. 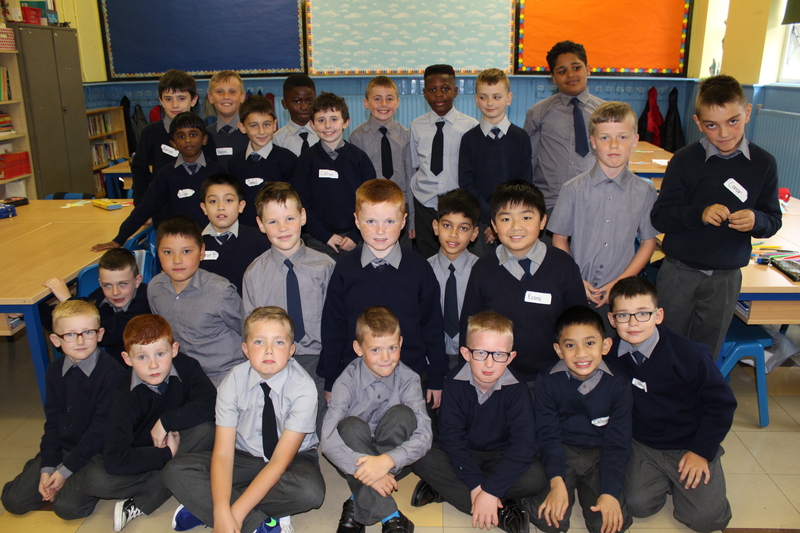 Sixth class swimming is well underway with fifth class to be the next group taking the plunge after the midterm break and fourth class commencing after Christmas break. 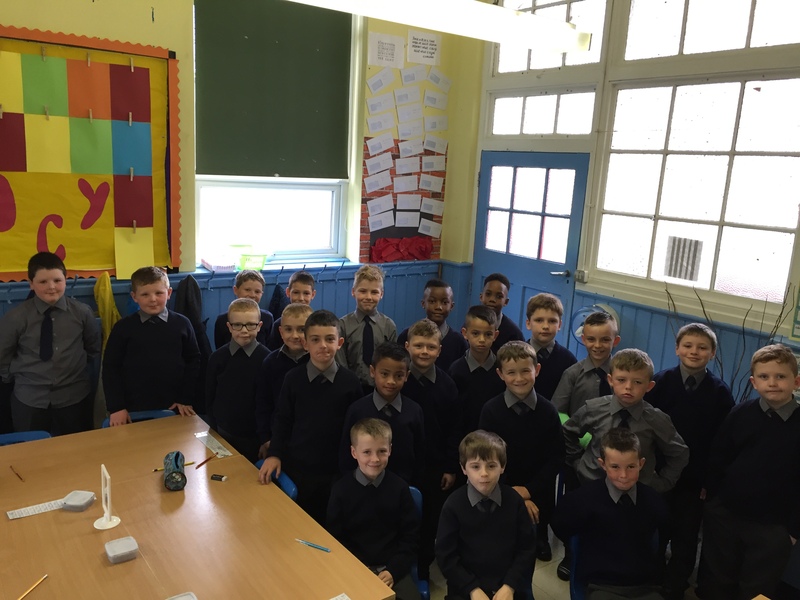 Gaelic football activity for fifth and sixth class pupils has been very successful with excellent participation in training and victories in their competition so far. Gaelic coaching for third and fourth class takes place every Tuesday morning throughout this term. 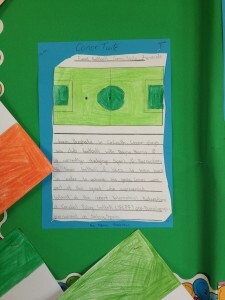 Rugby coaching is also on this term’s agenda. 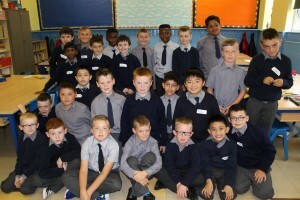 Chess club, table tennis club and homework clubs are up and running. Visits to the Texaco art exhibition and the Droichead Arts Centre are also part of this term’s school activities. 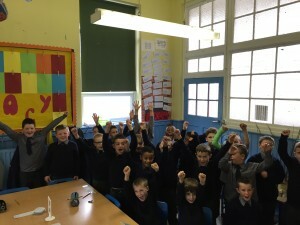 Auditions for the school band have received an enthusiastic response from all class streams and a high standard of talent is presenting. 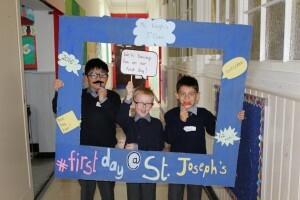 It’s another busy year in St. Joseph’s! 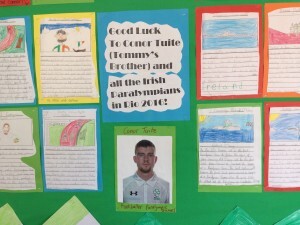 Through school fundraising last year, in particular the Double Heptathlon Sponsored Event, a new supply of books is being added to the school library. 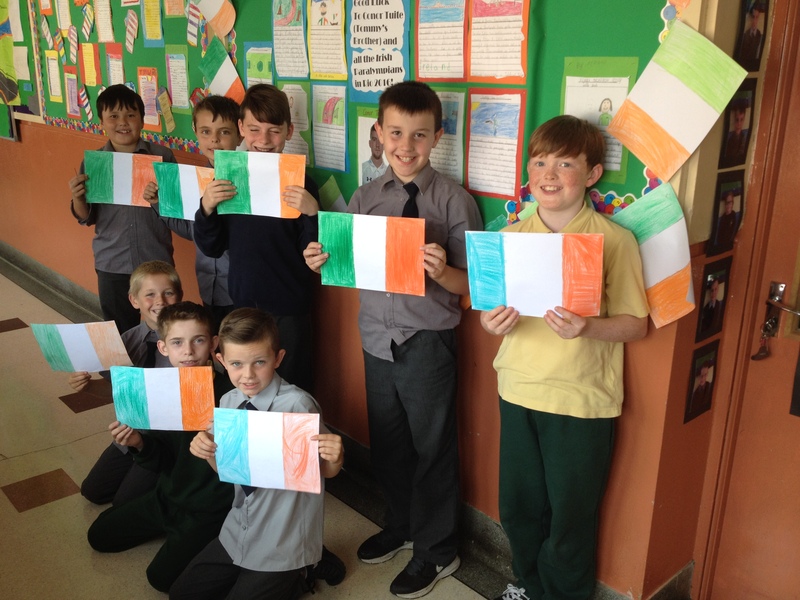 Much thanks is due here to the support of the Parents Council and the engagement of the pupils and staff with the various activities. The date for Confirmation is set for May 3rd, 2017. We look forward to all our candidates making a good spiritual preparation for this important undertaking. 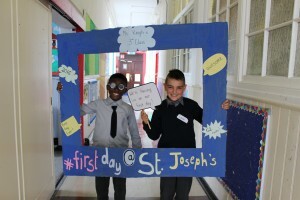 Every day of the school year brings its own challenges for pupils, parents, guardians, school staff and the school community in general but working together in a spirit of respect, understanding and cooperation will see the positive outcomes for our pupils that we all want. 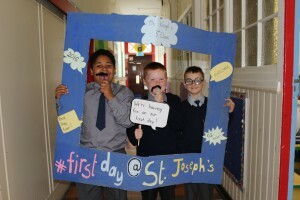 This September has been an encouraging beginning for the school year 2016-2017. 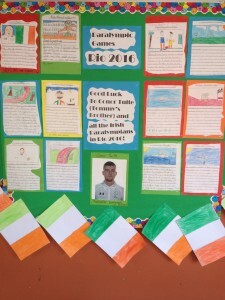 Go n-éirí an bóthar linn go léir! 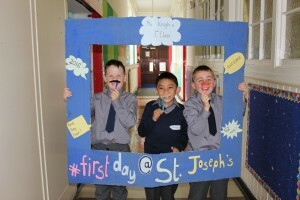 Our new third class students have settled in very well to life in St Joseph’s. 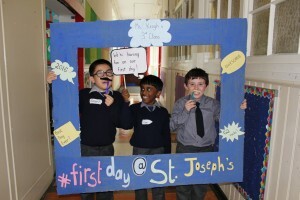 Here are some photos taken on their first day. 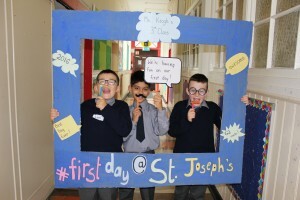 Ms Keogh’s class also had great fun taking photo booth pictures on their first day of school. 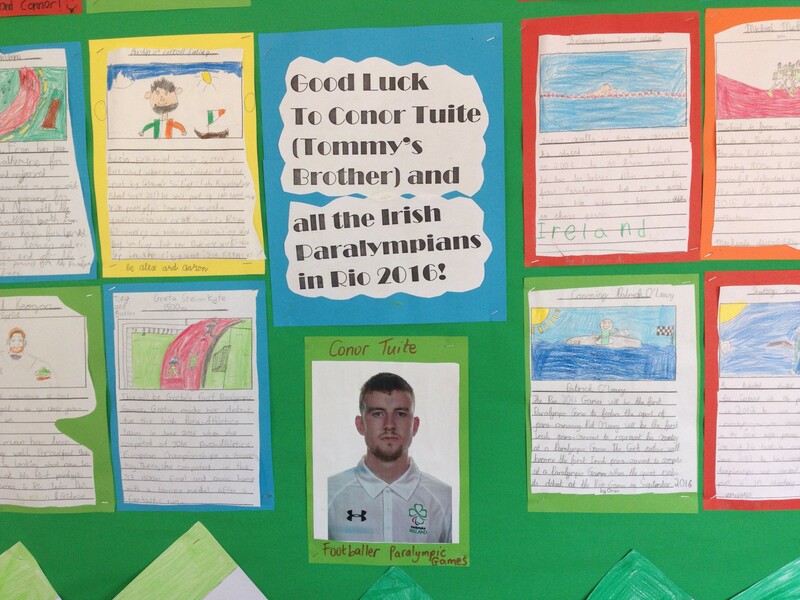 In R6 we have had an extra special interest in the Paralympics this year as Tommy’s brother, Conor Tuite, is a member of the Irish Paralympics football team. 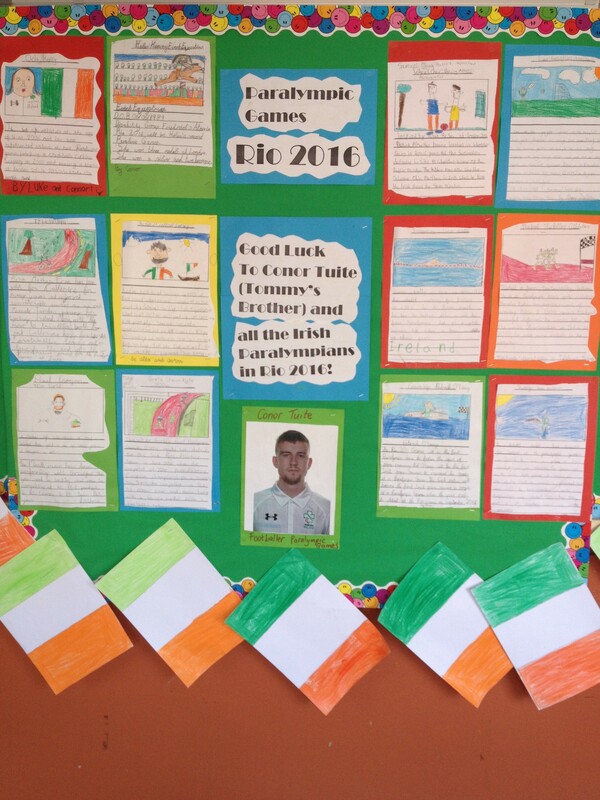 We carried out projects on all the different sports at the Paralympic Games 2016 and we kept up to date with all the results from the Irish participants. Well done to Conor and all the Irish athletes!